This reading group guide for The Winemaker’s Wife includes an introduction, discussion questions, and ideas for enhancing your book club. The suggested questions are intended to help your reading group find new and interesting angles and topics for your discussion. We hope that these ideas will enrich your conversation and increase your enjoyment of the book. The year is 1940, and the Germans are quickly approaching the champagne-producing regions of northern France. As Inès, a young bride, rushes to inform her husband, the owner of a champagne house, of the Nazis’ impending approach, she has no idea how much her life will change over the course of the next five years. Many years later, Liv is recovering from a failed marriage and doesn’t know how she’ll start anew. But her eccentric elderly grandmother, Edith, has just the ticket—literally. She whisks Liv off to France, but won’t tell Liv what she’s doing there or how Edith is connected to the city of Reims. These two stories in The Winemaker’s Wife, set decades apart, intertwine to tell a gripping narrative of love, loss, the tragedy of war, and the hope that comes from the smallest resistance against evil, set against the lush backdrop of northern France’s champagne vineyards. 1. This novel takes place in the champagne-producing region of France. How does the location play into the plot? Is the setting crucial to the story, or could this book have taken place at any vineyard during World War II? 2. Inès struggles with her place at the Maison Chauveau. She feels disrespected by her husband and left out of everything important. Did you feel sympathy for Inès’s predicament, or were you frustrated by her focus on her own problems? Or a mix of both? 3. Michel is not very attentive to Inès and doesn’t notice her attempts to be useful. However, he pays very close attention to Céline. Why do you think Michel was so frustrated with Inès? 4. Inès looks inward for much of the novel, and as a result, she misses a lot of the horror happening around her. How did you feel about her spending time with a Nazi collaborator? How do you think Inès justified it to herself? 5. Much of The Winemaker’s Wife revolves around characters being complacent in a time of crisis; therefore, it’s easy for one to be willfully blind to what’s really happening. Are there other times in history where this same observation applies? 6. Liv has her own struggles, including dealing with the end of her marriage. How does her situation compare with Inés’s predicament? 7. Céline goes through an emotional journey over the course of the novel, worrying about her family and her own safety. Her story, sadly, is dictated by the times she lived in. Did you feel satisfied with the way it turned out, or did you want Céline’s story to go differently? 8. Michel feels that he must defy the Nazis in any way he can. How did you feel about his resistance, with his knowing that he was putting others at Maison Chauveau in harm’s way? 9. Inès tries to help the Resistance, but those around her accuse her of only acting, as a way to prove that she’s useful—in essence, for still having selfish motives. How did you separate her motives from her actions? Is there something inherently selfish in every generous act? 10. Discuss what you learned about champagne making in The Winemaker’s Wife. How much did you know before you read the novel, and what did you learn from it? 11. Harmel surprises the reader with a twist, revealing new truths about modern-day Edith’s identity. Did you suspect that this was the case? Did it impact your understanding of the character of Inès? 12. The selfishness Inès displays has dire consequences at the end of the book. Do you think her work in the Resistance redeemed her? 1. Buy a selection of champagne to sip while you discuss The Winemaker’s Wife. Can you tell a difference between different champagne houses? What about the differences of varying vintages? 2. Read The Widow Clicquot by Tilar J. Mazzeo, a history of Veuve Clicquot (and a woman who’s mentioned in The Winemaker’s Wife), and compare it with the information presented about champagne making in this book. Discuss how important history and culture is to French winemaking. 3. Read Wine and War by Don and Petie Kladstrup, which is about French winemakers who resisted the Nazis. Discuss the Resistance techniques depicted in both books and whether they were effective. 4. Research French dishes that were popular in the 1940s. Have each member bring a dish to share, to celebrate the cuisine present in the novel. “Love and betrayal, forgiveness and redemption combine in a heady tale of the ever present past…fantastic!" 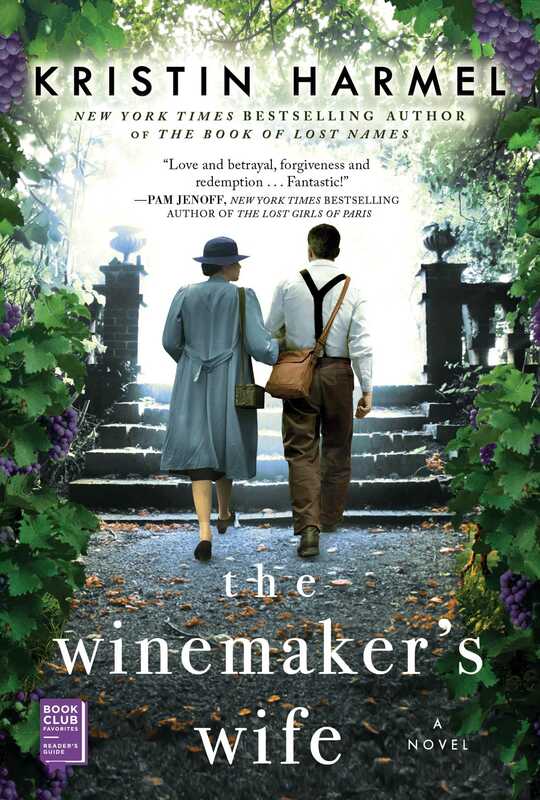 "Written in heart-wrenching prose, THE WINEMAKER'S WIFE is a complex story of love, betrayal and impossible courage set in the champagne growing region of France during World War II. 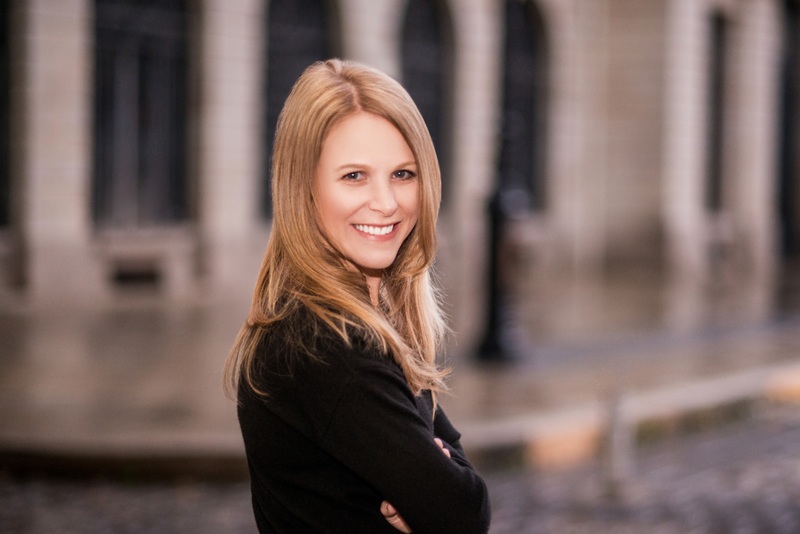 I couldn't turn the pages fast enough and savored every moment at the same time." "Harmel's engrossing latest reminds us that love, like resistance, begins with courage." "This book of historical fiction is also a surprising story of love, courage, and the resiliency of the human spirit....[Harmel] manages to draw her audience in, even to the point of unexpected tears at the story’s end.."